DJTT has written about a number of wild gear mods over the years, but this one might be the most useful revitalization of old DJ gear yet. In this mod, an old CDJ-1000mk3 (released in March 2006) gets a powerful new heads-up display that offers the same level of detail that CDJ-2000NXSs have on them. Watch the mod in action and keep reading to learn more. 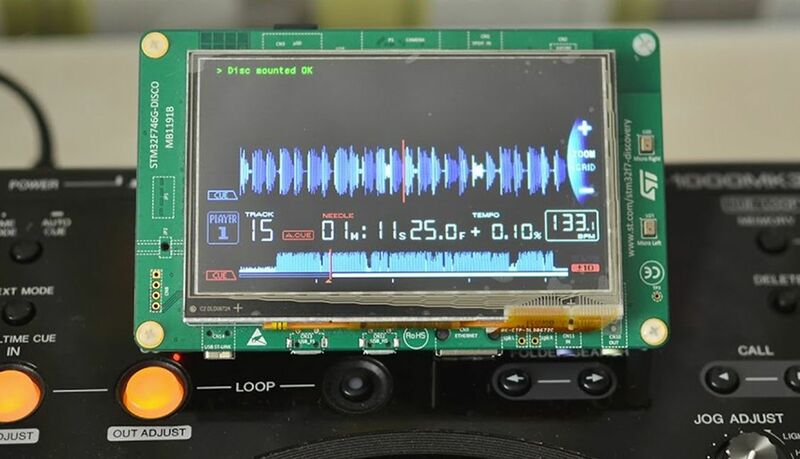 With the prototype mod featured in the video below, DJs first analyze CDs in Rekordbox, upload them to a SD card, and pop that into a microcontroller kit with a built-in display. The kit is soldered into the CDJ’s circuit board. Who would have the badass skills able to do this mod? The level of detail might seem familiar – because it’s the same guy from the standalone Technics DVS mod we’ve covered a few times on DJTT. His name is Andrei Anantsko, and he’s incredibly clever when it comes to DJ gear mods. The CD is analyzed in Rekordbox. The analysis data is imported to the SD card. The SD card is installed on the Discovery board. Rekordbox data is synchronized with the player’s operation and displayed. 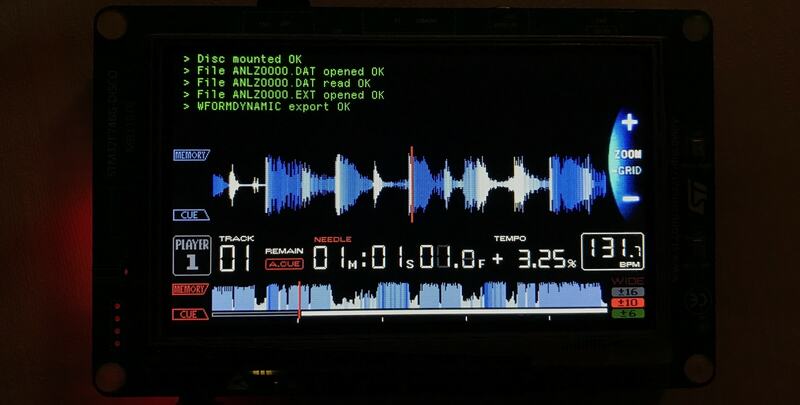 The next step is to exclude the MPU and DSP installed in the Pioneer CDJ-1000, leave only the control panel MPU, and write to the SD card audio data + rekordbox data. This is the graphics I created myself (fonts, colors, positions of elements) to within a pixel. This was created based on the screenshots display in the service manuals CDJ-2000 and photos of the display in high resolution. This is not yet a completed project. I plan to remove the CD-ROM and play files from a USB flash drive or an SD card. Then the mod will be of great value and for it it will be possible to use the CDJ-1000 even with a faulty motherboard, since all functions will be performed by the Discovery board. After that, I’ll share the firmware and the connection description, but I need time. Worth noting: CDJ-1000mk3s are selling for about $200-300 dollars on eBay right now, and the STM32F746 Discovery kits / development boards are available on Mouser for ~$57.